All Aboard the Hot Tamale Express! I have never made tamales before. I guess I associate tamales with December because I was once married to somebody who was awfully damn Hispanic, and her family would never dream of graduating from Christmas without making a huge batch of homemade tamales. I didn’t like them for years. And then, I learned to tolerate them. Once we divorced, I suddenly decided that I loved ’em. A therapist would no doubt have a field day with that one. I never really understood tamales in the beginning. I used to ask the ex, “Why are you wrapping up a perfectly good burrito in a freakin’ corn husk?” Clearly, I was not the foodie back then that I consider myself now. 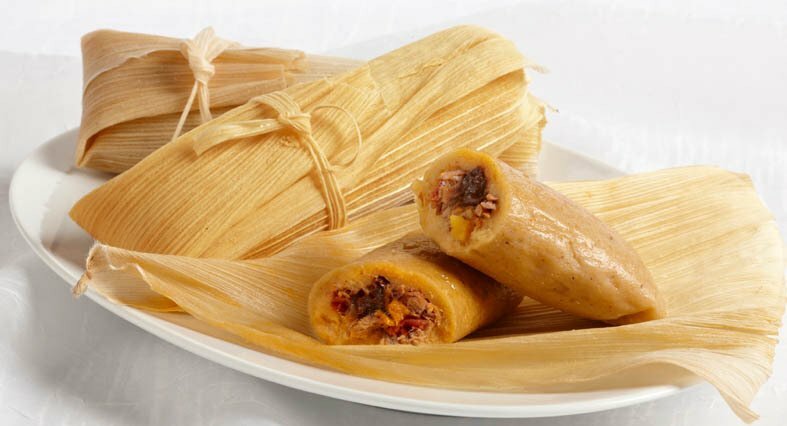 Plus, there are few dishes as labor-intensive as tamales. You have to make the dough from masa, a fancy word for corn flour. Roll it out, spoon it into a dried corn husk, add your fillings, and steam it. 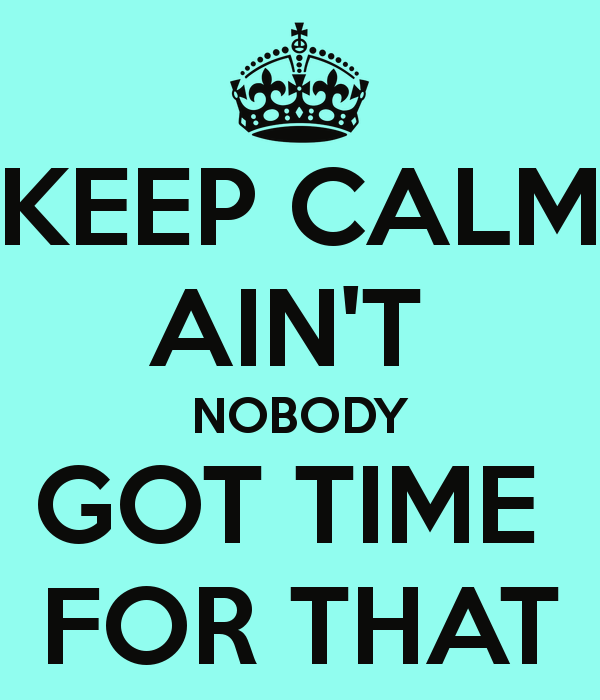 My motto back then? I kid. I’m not a fan of the can unless it’s Tan in a Can, but that’s another story. I just couldn’t in good conscience devote a whole Saturday – that’s half a weekend, if you do the math – to making something I didn’t even care for all that much. Fast-forward to 2010. I’m walking through the Portland Farmer’s Market one miserably cool and wet Saturday when I stumble upon a food cart selling tamales. So I order one. Artichoke and cotija from Salvador Molly’s. Clever name, unique ingredients, and as a ate my tamale huddled beneath a covered entryway on the PSU campus, I had what can only be described as an epiphany. Viva la tamale! I thought. So this is what I’ve been missing out on all these years. Note: not my actual tamales. I scarfed those down too quickly to bother with a photograph. Thanks to mccormick.com for this image. I enjoyed them so much, the first time I ever met Tara in person – some five months later – I took her to Salvador Molly’s actual restaurant and ordered those very same artichoke and cotija tamales. And so now, whenever the calendar page is flipped to December, I start craving tamales like nobody’s business. I have yet to make them myself, though. Because, again – they’re labor intensive. Fortunately, I remembered the really good Mexican grocery store and deli on NE Glisan St. in Portland. Tortilleria Y Tienda De Leon. This place is located in a sketchy part of town right next to a plasma clinic (I kid you not) where you see people who are probably junkies selling their own blood for a quick score slouched against the building out front. 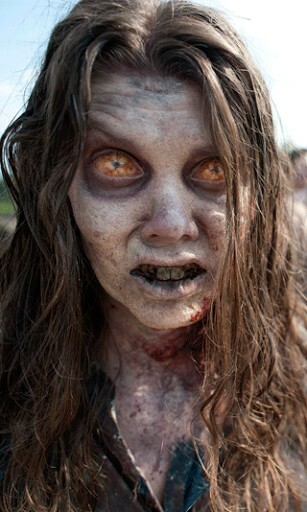 Seriously, they resemble extras from The Walking Dead. Despite the lack of ambience, it’s worth a quick jog into the mercado to pick up some authentic, delicious Mexican food. Oregon Live says so. And Willamette Week raves over this place, too (while mentioning those “vacant eyed and incompletely toothed” plasma bank customers I mentioned). See? My analogy was spot-on. And so today I indulged my pseudo-Mexican (by association) roots and enjoyed some hot, delicious pork tamales. That I did not spend half a weekend cooking myself. What foods do you associate with the holidays? Mark, can you believe that I have NEVER had a tamale in my entire life? But I think that’s probably because I don’t like anything hot (spicy). 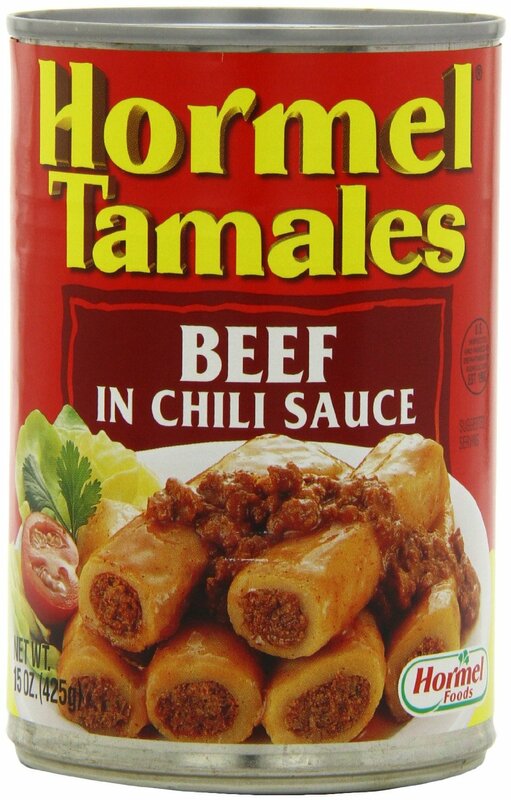 Is there such a thing as a “mild” tamale? I love Spanish/Mexican food, so I think I should try one, don’t you? Stews and soups are mainly what I associate with the holidays. Oh, and also, Italian food like lasagna and stuffed peppers. Yummy! You should definitely try one. And tamales aren’t necessarily spicy, anyway – the ones I bought were basically shredded pork carnitas in masa. I actually added a bunch of hot sauce to spice ’em up! Stews and soups are definitely synonymous with this time of year for me, too. I love tamales and enchiladas! Holiday foods for me……honey baked ham, beef tenderloin, gingerbread cookies, buckeyes. My favorite college bar became a plasma clinic. Sad, huh? I second you on the Honeybaked ham. We are planning on making a ham the weekend before New Year’s, and I was trying to convince Tara to swing by the closest Honeybaked store. Their hams are absolutely the best! The only thing I really associate with the holidays for food is cinnamon buns. Ever Christmas morning we all have cinnamon buns with hot cocoa and the holidays would just not be the same without it! Title reminds of a Cuban gal I married. That lasted 22 months and I should have gotten out sooner. But two kids and three grandchildren that I love seems like the price I had to pay. Maybe it’s important to try to make these things sometimes so we appreciate what goes into the foods we love! Sounds like an adventure, for sure. You have a great point. The problem with tamales is, I’m the only one in my family who likes them. I don’t know what I’d do with the extra several dozen I would need to make in order to make the experience worth the effort. Hmm…maybe I should hold a blog contest or something!